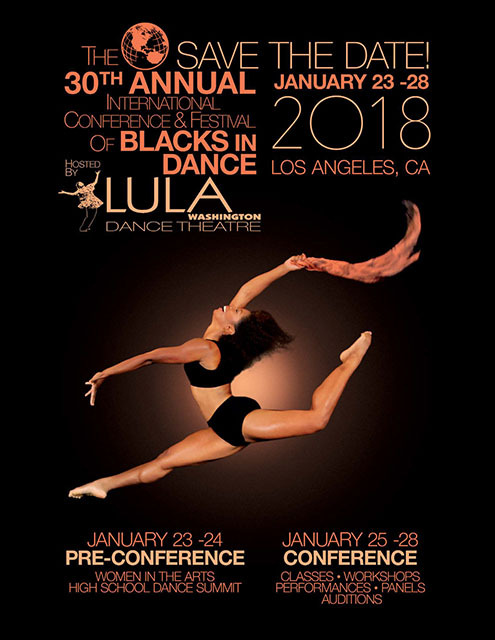 THE INTERNATIONAL ASSOCIATION OF BLACKS IN DANCE (IABD) PRESENTS THE 30TH ANNUAL INTERNATIONAL CONFERENCE AND FESTIVAL OF BLACKS IN DANCE IN LOS ANGELES, JAN 23-28, 2018. IABD HAS ASKED BLAKDANCE TO INFORM OUR MEMBERS OF THIS SIGNIFICANT OPPORTUNITY! THEY ARE REQUESTING EXPRESSIONS OF INTEREST (EOI) FROM THE AUSTRALIAN INDIGENOUS DANCE SECTOR TO ATTEND THE CONFERENCE AND FESTIVAL. - Present ideas, dialogue or conversation topics. To submit an EOI, you must complete the form BELOW. This must be submitted by September 1st to allow time for IABD to assess applications. 1. Complete EOI online below by September 1st. 2. All EOI’s will be sent to IABD to be assessed by them. 3. If IABD selects your EOI, you must then submit an individual grant application to the Australia Council for the Arts by the October 3 funding deadline (or find alternate funding elsewhere). PLEASE NOTE: This is not a funded activity. BlakDance is NOT involved in the selection process or providing funding. We can provide support for you to submit a funding application. We are not submitting on your behalf. If your EOI is selected by IABD, your attendance is funding dependent (through Australia Council or other). IF YOU ARE INTERESTED IN TAKING UP THE SUPPORT OF BLAKDANCE FOR THESE OPPORTUNITIES PLEASE COMPLETE THE BELOW EOI FORM BY SEPTEMBER 1st. The main focus on this grant is about the impact on your career your project will have.